Part of the Balkan region and the Mediterranean with rich Greek, Roman and Ottoman legacy, Republic of Northern Macedonia (Macedonia) is a country boasts with strong histories and of course a wealth of natural beauty that can lure travellers from different walks of life. The Republic of Northern Macedonia (Macedonia) is a country located in the Balkan region, which is bordered by Serbia and Kosovo to the north, Albania to the west, Bulgaria to the east and Greece to the south. It remains (as for now but soon might be changing) as one of the last undiscovered countries in Europe. Currency: Macedonia Denar (MKD) | Check XE Currency for the latest currency exchange rate. What's interesting about Macedonia? Besides its historical ruins and idyllic villages, this country is also blessed with outstanding natural wonders from mountains, lakes and rhythm. Travellers can expect a wonderful mix of architectural and ethnic heritage as it is populated by several ethnics including Orthodox and Albanian Muslim community. 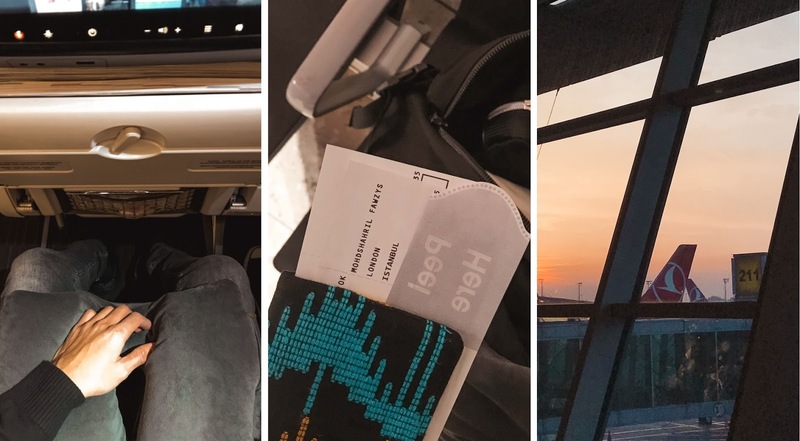 If you're travelling from Kuala Lumpur, Turkish Airlines flies between Kuala Lumpur to Skopje International Airport (formerly known as Alexander The Great Airport) with transit at Istanbul Atatürk Airport. To learn more about Turkish Airlines' routes, you can visit their official website. I will publish an article about my experience flying with Turkish Airlines in a different post soon. 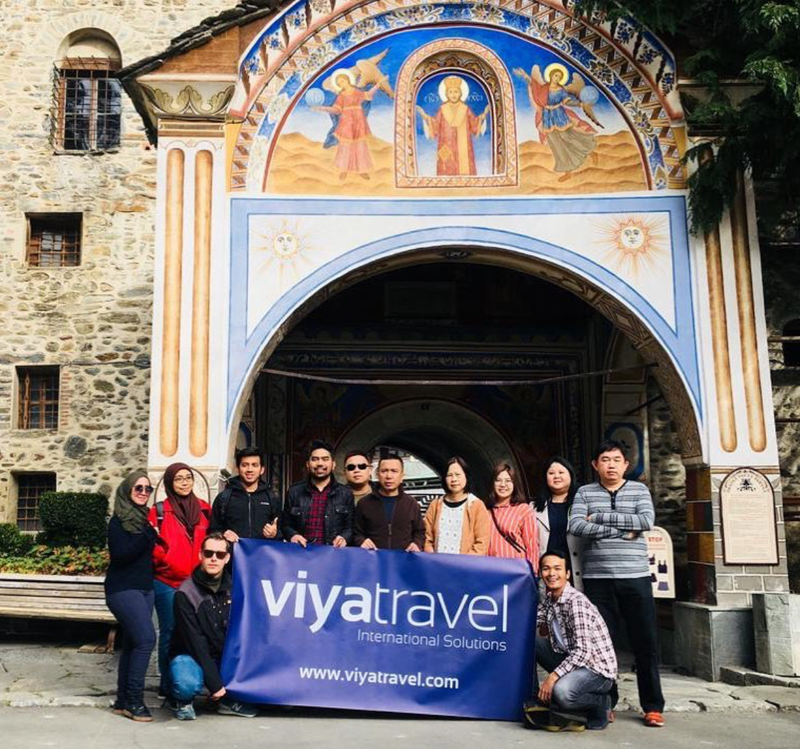 I was privileged to explore some of the cities in Bulgaria with ViyaTravel, a travel company founded in 2009 offerings various tourism services mainly in Balkans, Turkey and Europe regions. 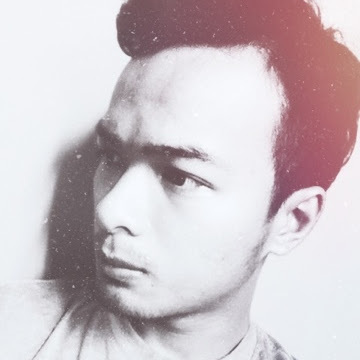 A plus point for this company because they can provide Muslim-friendly travelling experiences such as finding a Muslim-friendly or halal restaurant, attraction and accommodation. Their services include a tour, hotel booking, transfer and more. Visit their official website or contact them (info@viyatravel.com) if you wish to explore Balkans and they can tailor their services according to your specific requests (itinerary, transportation and others). 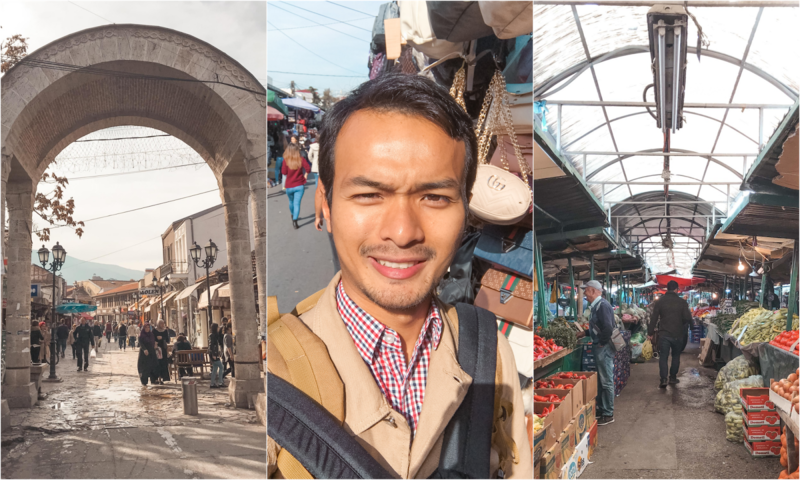 On this 5D4N trip, a group of Malaysian travel agents and media members and I were brought around two countries, which is Bulgaria and Macedonia. Our group was led by an experienced English speaking guide who has a wide knowledge of the countries. He explained each thing we saw/visit, responded to our enquiries and most importantly always make sure our safety throughout the tour. 1. Money: it is always a good idea to use their local currency which is MKD. However, most places accept Euro at a slightly higher rate compared to their local currency. Credit cards are accepted at restaurants, bars, major shops and hotels. 2. Safety: Macedonia is relatively safe to visit. However, like in any other touristic destinations, there is some individual who will take advantage of any distracted tourists. Therefore, crimes like pick-pocketing, bag snatching and other financially-driven cases are pretty common. Exercise caution and common sense - keep an eye of your valuable belongings, stay in a crowd and always check the latest safety condition in a particular area. 3. Transportation: the best way to explore the country is by renting a car. Driving in Macedonia is relatively safe and manageable one. If you want to take their public transportation, there are various buses between major tourist destinations like Skopje - Ohrid, Ohrid - Bitola and Bitola to Skopje. 4. Food & drink: there are plenty of food and drink options to try in this country. For Muslim travellers, it is possible (in fact, easy) to find halal restaurants (mainly serving Turkish and Indian cuisines) in its major cities since Muslim is part of the main population here. Don't forget to try their national sauces called Ajvar and Pindjur. For us, it is like our sambal. Tasty one! 5. Language: most people in the touristic areas speaks good English. However, if you wish to venture to other authentic local areas, communicating with them can be quite challenging as most of them don't speak English. Learn some basic phrases can be useful to you. 6. Immigration: Malaysia citizens don't need a tourist visa to visit Macedonia. You can stay up to 30 days in the country. My journey in the Balkan region wasn't ended in Bulgaria. 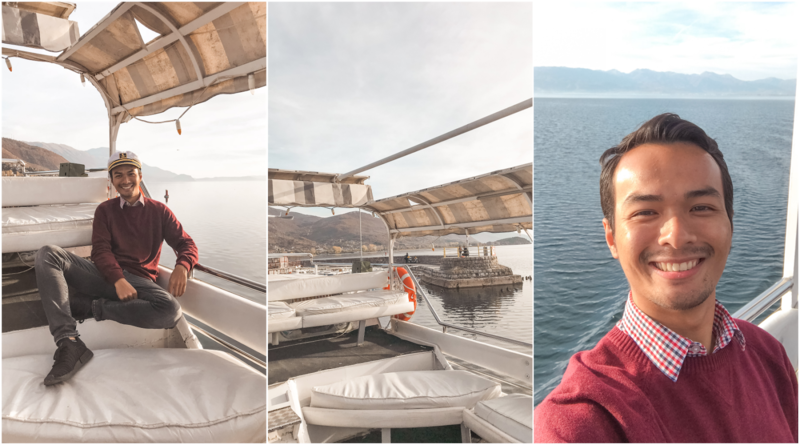 The road journey from Sofia to Skopje, the capital city of Macedonia, took nearly 4 hours (not including our quick stop at the Rila Monastery). The travelling time might be different depending on the traffic condition. The roads along the way are relatively fine. While the duration sounds like a great opportunity to claim my sleep time, I have spent those hours admiring the beauty of their countryside views instead. Hello Macedonia, are you guys ready to explore this country? Skopje is the nation's capital. It is home to many historic landmarks and architectural monuments and plenty of cultural places of interest. If you're a person who appreciates architecture and enjoy a relaxing city walk, it is definitely worth to visit. The city is split into two parts, which is the modern and old area divided by the famous Vardar river. To me, there are so many questionable things I saw in the city. That's why most people recommended reading a little bit about this country and its city before arriving here so that you know how you can find the answers to each of your question. During my visit (October 2018), there were renovation works happening around the centre. The city had undergone major renovations on its building and adding some grand also somewhat out-of-place monuments around the area. Recently, the government have spent approximately 300 million euros for something they called 'unnecessary' development towards the city including the gigantic Alexander The Great monument, which I heard that it is going to be removed in order to calm Greek tensions. It is indeed a pretty complicated 'relationship' between these two Balkan countries. This could be one of the reasons why you should visit Macedonia, which is to get a more accurate insight from the locals. 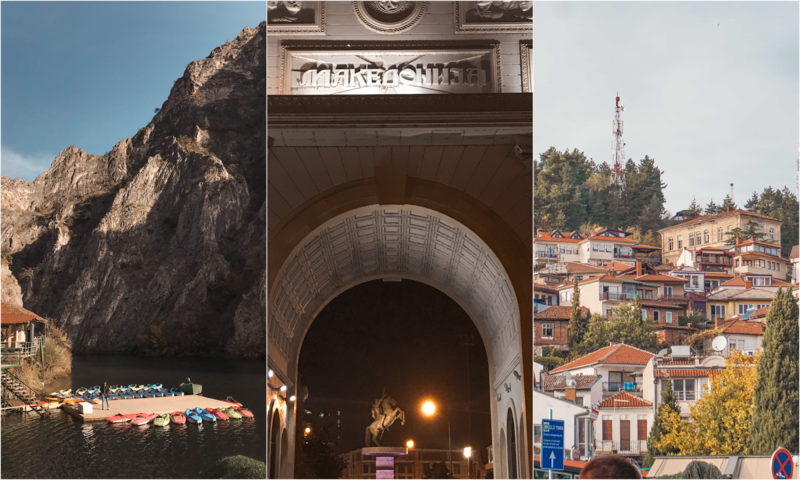 Despite the argument and criticism, a positive impact is seen in the tourism industry where more tourists are now making their way to Skopje and other cities in Macedonia. In order to get to know the authentic life of the people, go to their market. Ever since I heard that advice, the local market has been a must-visit place for me wherever I go. To me, a local market is like the heart of the place. If you have the same interest as me, be sure to visit Bit Pazar. 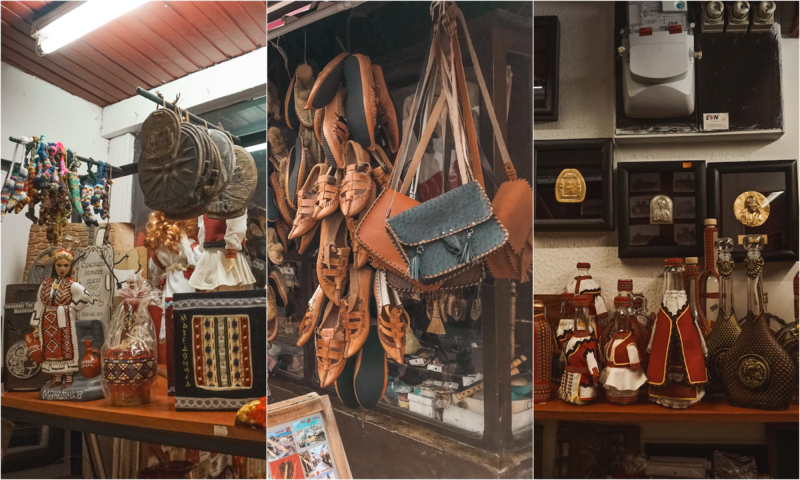 Located at the northern end of the Old Bazaar, Bit Pazar is one of the largest outdoor markets in the region flourished with a history stretching back to the beginning of Ottoman rule. This market offers mainly fresh fruits, vegetables and other daily necessities like spices, meat and others at an affordable price. Interestingly, a stroll around the market offers an encounter with people from different walks of life and nationalities living in the country. Tip: There is a free (you're more than welcome to tip them if you enjoyed it) walking tour organised in the city centre. You don't need to make a reservation. Just show up at their meeting point. The tour starts at 10 am, every day. Places they will visit including Memorial House of Mother Teresa (Yes, she was born in Skopje! ), Old Railway Station, Triumphal Arch, Stone Bridge and more. 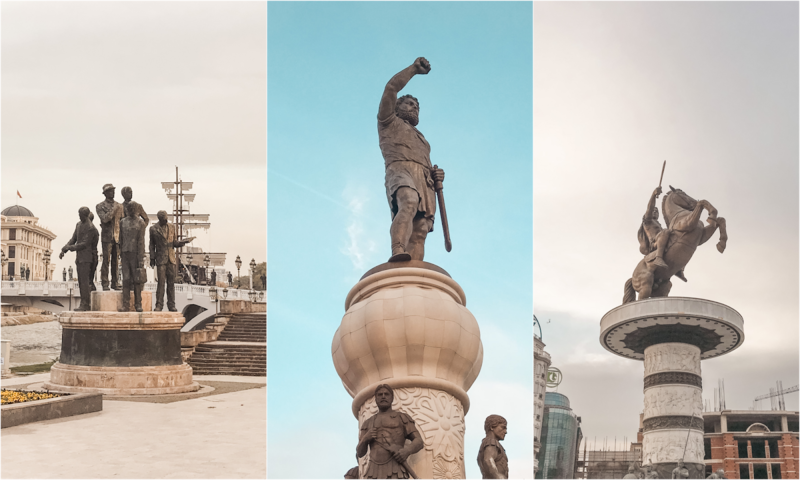 Skopje is the only city I have been so far that has a lot of massive statues located close to each other. The Main Square itself has around 20 different monuments. Not only that, what is even more interesting is those monuments are positioned at such random places. The buildings here look pretty classic and old but don't let them fool yourself as those were built quite recently, which is around 2010. If you're into architecture and pretty curious to see how Brutalist building looks like, this is the place to be. Brutalist architecture focuses on raw concrete but with a twist like curvy shapes, ornaments and etc. There is a brand new old-looking ship located on the river, which one of the ships serves as a hotel for visitors to experience staying in a ship on a river in the middle of a city. It sounds pretty unique, right? 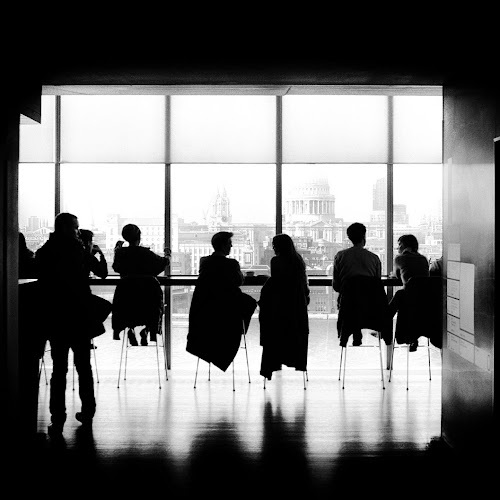 This can be a great opportunity for you to find the answers to most of your whys. The statue of "A Warrior on A Horse" (which is believed to be a statue of Alexander The Great) located at the Main Square. This is how the night view looks like here. Skopje's centre has been developed by the government into a modern area and we won't see much of older buildings here. However, you'll find some gems if you go a little bit further. Simply cross the Stone Bridge from the modern part of the city, you'll arrive in the older part, which is the Ottoman old town area. This old bazaar is the second largest bazaar in the Balkans after Istanbul. For me, this is the place where you can find a lot of unique and authentic things from food, souvenirs to a few other activities. It's like a great contrast to the rest of the city. What you will generally find here? There is a mosque as well located in the area. You can perform your prayer here or simply visit and meet the Muslim community in Skopje. 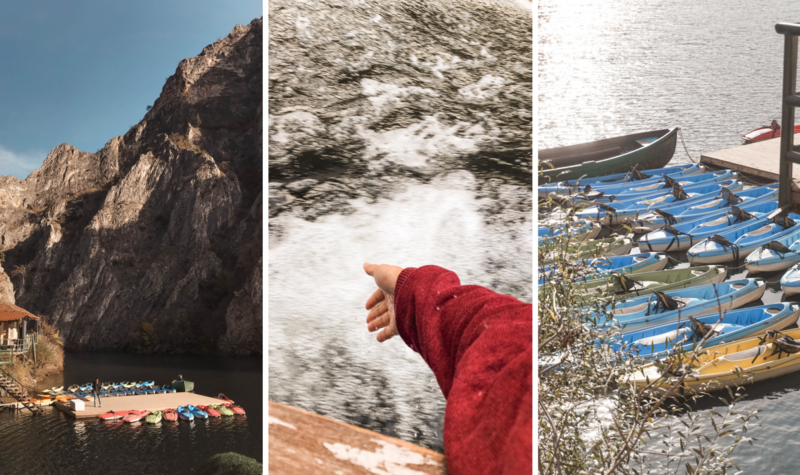 Matka, literally means "womb" in the Macedonian language, is one one of the popular outdoor destinations in the country. Home to several medieval monasteries, this canyon is located 15km on the south-west of central Skopje. It gets more interesting to know that this canyon is also a host to Matka Lake, which is the oldest artificial lake in Macedonia. 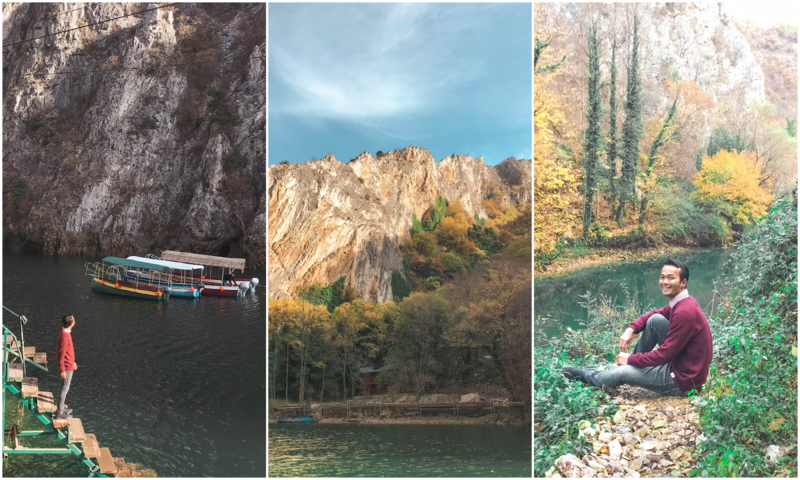 If you appreciate nature and into some outdoor activities, Matka Canyon should be on top of your to-do list in Skopje. There are around 10 caves at Matka Canyon and Vrelo cave is one of the famous caves. Kayak or boat ride is the only way to access the cave. A visit to the cave offers you an opportunity to admire beautiful formations of stalactites and stalagmites. If you come during spring until early November, hiking in the mountains and kayaking across Treska River are the best activities you can do here. Some of the monasteries located on the bank of the river and cliff are a great opportunity for you to see the mediaeval architectures, histories and of course to admire the spectacular views of the canyon. Price for kayak rental: 150 MKD (single, 30 minutes), 300 MKD (single, 60 minutes), 250 MKD (double, 30 minutes) and 500 MKD (double, 60 minutes). Price including life-vest and paddle. One or two day trip in Skopje is enough but if you have more extra days, I would be great to do a bunch kind of things here! 1. There is a restaurant to enjoy some drink or food. 2. Picnic spot is available. Bring your own food. 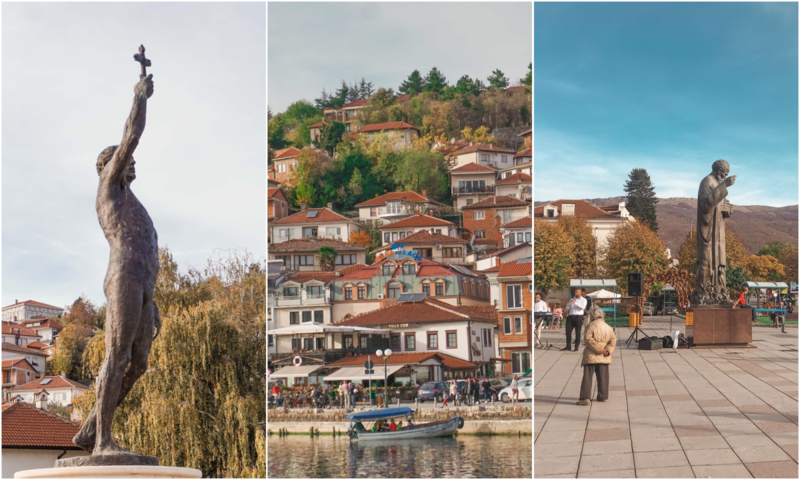 If you are done exploring Skopje, make way to Ohrid, which is a lakeside city and UNESCO World Heritage Site located just a few hours drives from the capital city of Macedonia. This city receives a huge number of visitors every year, especially in the spring and summer seasons. That's why it is considered as the jewel in the country's crown. 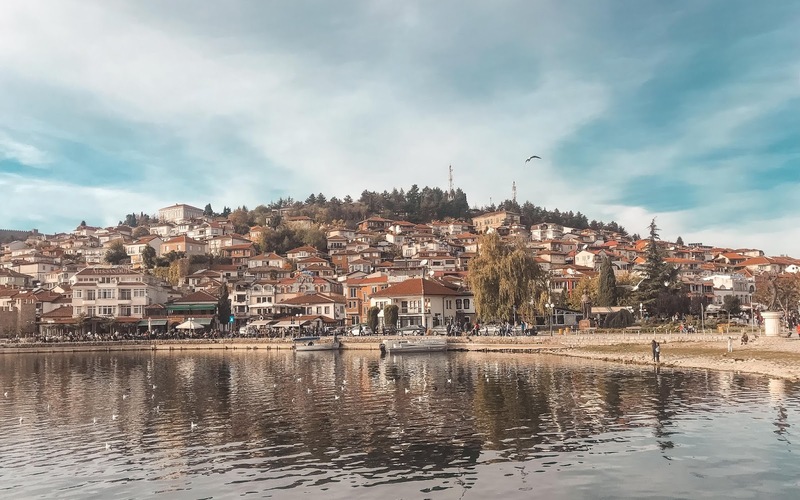 On top of that, Ohrid is also a great place to stop by if you're planning to visit multiple countries because it is located just at the border between Macedonia and Albania. For me, I love Ohrid more. I can feel the authenticity of this town from its buildings, surrounding and of course the people. I've heard that this city is also known as Balkan and European version of Jerusalem because of its vast number of churches and monasteries (it had nearly 365 churches before this). I have never been to Jerusalem (it is one of the items on my bucket list). So, I can't really tell if Ohrid really has the city's vibe. The city is pretty small, which you can explore almost everything simply on foot. 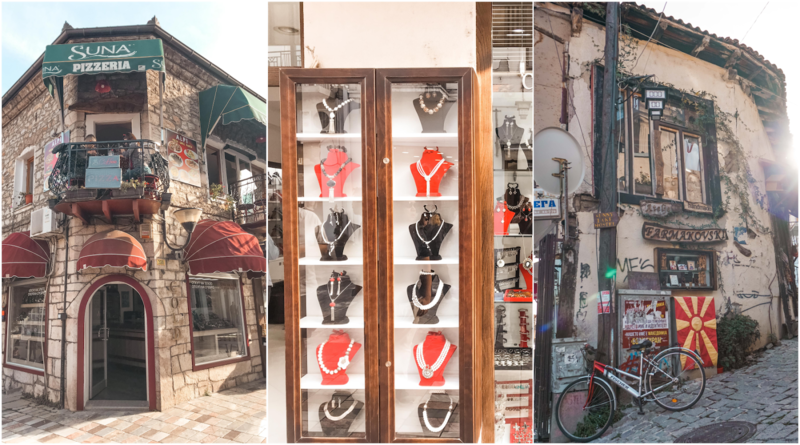 Spend some time to explore the bazaar area to see or buy some souvenirs, clothes, jewellery, local products and more. There are plenty of cafés and restaurants here for you to have your lunch, evening tea or dinner. The old town is a gem of this city. 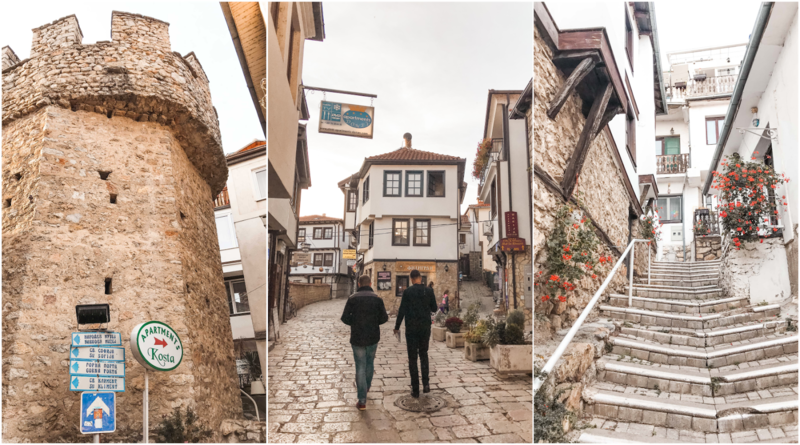 Stroll through the narrow cobblestone streets to see some Ottoman-era houses that are still standing as a local resident and attraction buildings, which makes it an interesting spot to snap some photos. You'll feel a far more relaxed atmosphere here. The other highlights of the town include Robevi Family House, which is previously owned by one of the richest families in the country before it turned to a museum showcases various artefacts. Besides that, there is also an ancient theatre here where the Ohrid Summer Festival (famous music festivals in the Balkans) is held in August, every year. Just a few minutes walk from the theatre, there is a stunning ancient church called Sveti Jovan Kaneo located right in front of the lake and surrounded by majestic mountains. It is a perfect place for you to admire the scenic views. In summer, swimming in the lake is possible (well you can too in winter but it can be pretty cold for most of us). If you are an experienced diver or adventurous enough to do cliff jumping, there's a spot near the church for you to do it. Ohrid Lake, considered as the jewel of the city's crown, is undoubtedly one of the reasons people travelling to Ohrid. With a 300m deep, 34km and three million years old, this lake is hailed as one of the oldest and deepest lakes in Europe. The declaration of this lake a World Heritage Site by UNESCO in 1979 is one of the proves of its significance in the area. Besides swimming, the other best way to admire the beauty of this gem is to take a short boat ride across the lake and see various attractions along the way. Since our group got quite limited time here, I only managed to experience the short ride but enough to enjoy the views and great music. Evening time well spent! Located around five minutes from Albania border, Sveti Naum is surrounded by some of the lake's best 'beachfront' and swimming area. If you have extra time after the monastery visit, be sure to take a dip in the refreshing water. The lake is big and has a small a wave as well. It is funny that sometimes I thought it is a beach instead of a lake. But wait, the main point here is not about that. 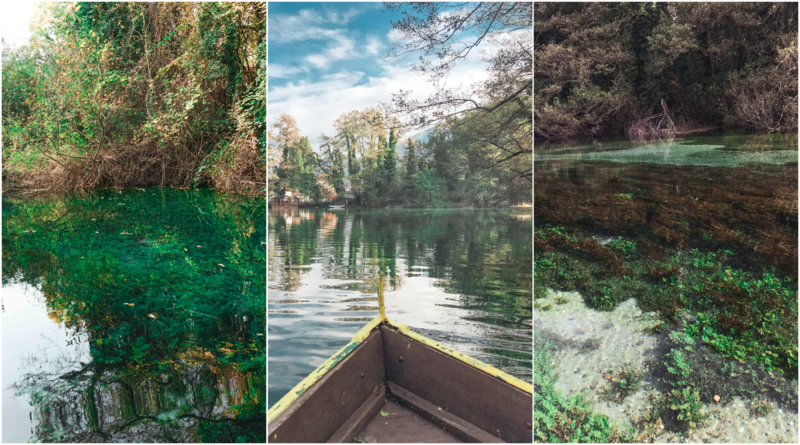 If you're in Ohrid, don't miss the short boat ride across the crystal clear natural Springs of St Naum. The water is insanely clear that made it as one of the most surreal places in the region and Macedonia. Well, the colour of the water says it all. I was blown away by the fact that even it is 3.5 meters deep, I can still see the bottom of the spring. You can also see some white spots in water which caused by the minerals, mainly lime, excreted from the bubbling springs. I'm not lying that I feel super tempted to jump and feel its refreshing water. Unfortunately, that is not possible but on the positive side, it kept the purity of the water preserved. You can also drink the water right away. It tastes better than the tap water or most bottled water. That's the end of my Bulgaria and Macedonia trip. Once again, there are more things to explore than just the above mentioned. Plan your trip wisely to ensure you will have a memorable journey in Macedonia. Oh interesting country, I'll definitely make my way to you again in summer *start dreaming*.